After 72 days on hunger strike, prisoner Mahmoud al-Sarsak is frequently losing consciousness and has difficulty standing, a lawyer said Tuesday. Fadi Ubeidat, who visited al-Sarsak in Israel’s Ramle prison hospital, said the detainee was emaciated with low blood sugar levels, the PA Ministry of Detainee Affairs said in a statement. Al-Sarsak told the lawyer he had been put in solitary confinement and urged the Palestinian Authority and Egyptian mediators to intervene. 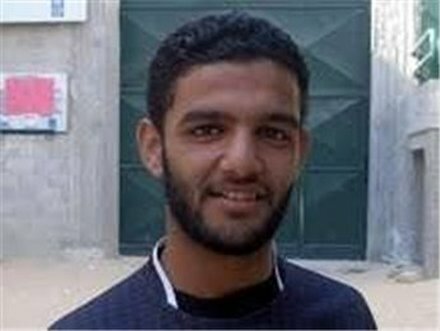 A soccer player in Palestine’s national team, al-Sarsak has been detained without charge for almost two years and is on hunger strike to demand his release.He was detained by Israeli forces while leaving the Gaza Strip in June 2009 on his way to join his team in the West Bank. He is detained him under the “unlawful combatant law,” which allows Israel to imprison suspects without presenting any charges and without a trial. Al-Sarsak has still not been told why he is in jail.